Dwyane Wade is totally fine with Kevin Durant joining the Golden State Warriors. “But he’s biased!” you might say, indignantly. And that’s sort of true. His Miami Heat formed a superteam in 2010, when they picked up Chris Bosh and LeBron James in free agency. 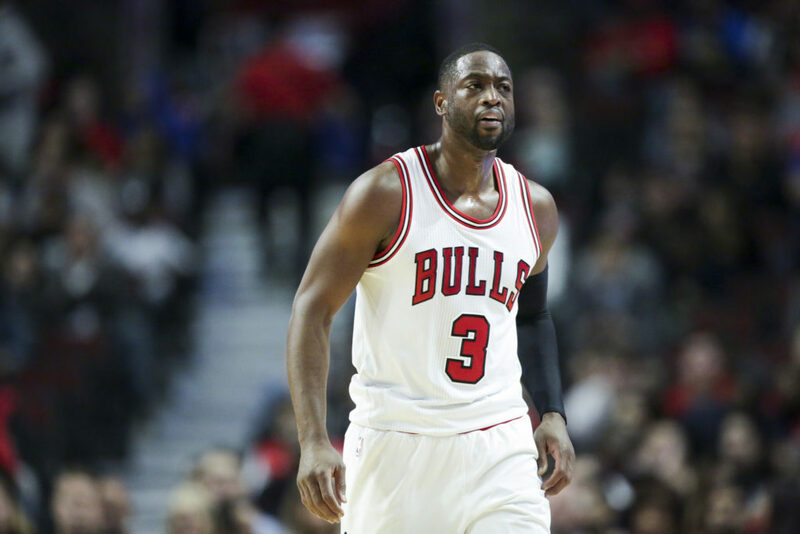 Wade has two more rings and four more NBA Finals appearances to his name thanks to that coup, so he’s not about to cry foul over the concept of superpowers just because he isn’t playing for one with the Chicago Bulls. “I think certain moments — it’s great,” Wade said. “At the end of the day, whether you dislike the Heat or you loved the Heat, you was tuning in to watch the Heat, right? Same thing with Golden State. Whether you dislike what happened with Kevin Durant or whatever the case may be, you’re going to tune into watch, whether you want him to succeed or fail. “Our game is growing. Eyes are on our game. And at the end of the day, me as a player, I just love the fact that players have the ability to control their own destiny. Yours truly tends to fall into the same category. Superteams incite reactions. They incite intense hate and like and anticipation. That’s only good for the league. Another seldom-talked repercussion of a squad like Golden State is how the rest of the league handles it. The Warriors are now the championship standard, and they haven’t even won a title with Durant as part of their nucleus. We will now see rival franchises craft contenders with the sole aim of building something to beat them. We saw it happen with Wade’s Heat, when the Los Angeles Clippers, Brooklyn Nets, New York Knicks, Dallas Mavericks, Los Angeles Lakers and a bunch of teams started chasing multisuperstar cores just to have a fighting chance against them. Preventive plans don’t always work out, and the Warriors are a different breed of scary—so much so that they could have a reverse effect on the league, one that sees teams prolonging rebuilds until the Warriors’ title window eventually fades. Overall, though, the threat of Golden State’s complete, utter, indelible dominance is mitigated by the rest of the NBA not believing it to be so. If that ever changes, if the majority of surrounding competition ever submits to superteams, then we’ll be able to say such squads are bad for the NBA. For now, you can easily argue that they’re good, or, at the very least, totally harmless.